Barrier-free bathrooms with special comfort! Bathrooms are increasingly turning into spaces with individual personalities, where body and soul can rejuvenate and relax, where you can be completely yourself and forget about the worries of your day. Or get ready for them. 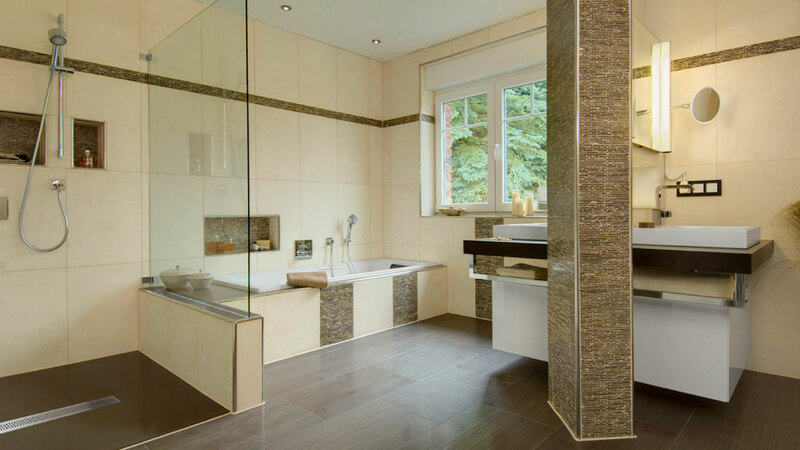 Whether in new structures or renovation projects, bathrooms should be planned and designed with a long-term view, including for phases in life when you may need assistance and when barriers could be an obstacle. 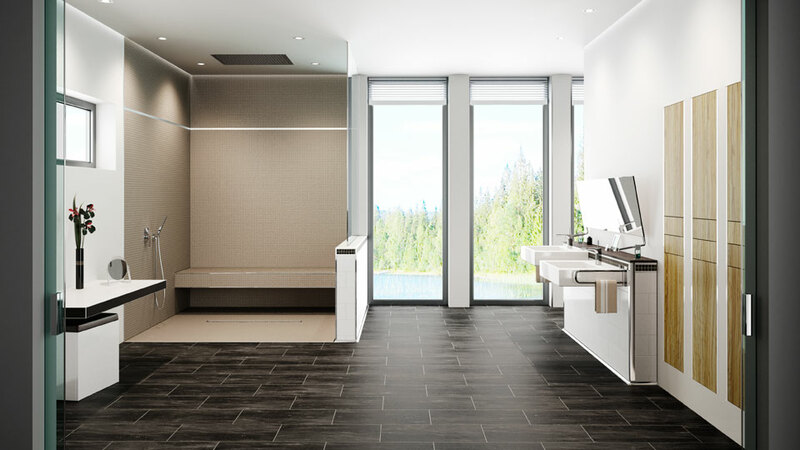 With Schlüter-Systems, you can design bathrooms for all phases of life. 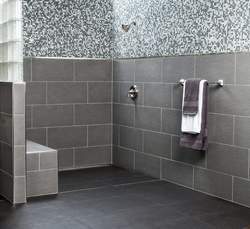 Schlüter-KERDI-LINE is a modular system for floor-level showers with a horizontal or vertical drain. It can be installed in the wall area or the centre of the shower. 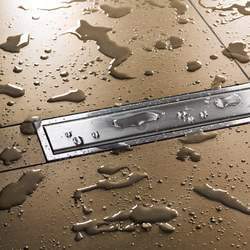 Schlüter-KERDI-LINE is as individual as you: We offer different lengths, attractive grate/frame combinations, and even an "invisible" shower channel. 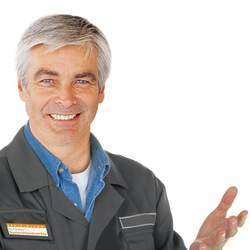 Schlüter-KERDI-DRAIN products have a modular structure and can be individually assembled to match every requirement. A variety of grate designs can be combined with different vertical or horizontal drain casings with or without odour traps. 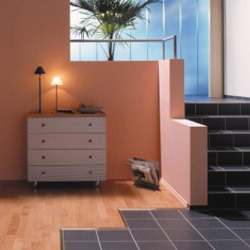 Floor profiles such as Schlüter-RENO-U and -RENO-RAMP create stepless transitions between floor coverings of different heights, for example at the threshold between two rooms, in floor-level showers, or at the transition from tiles to wooden flooring, relegating barriers or stumbling hazards to the past. At the same time, the profiles effectively protect the adjoining covering edges. 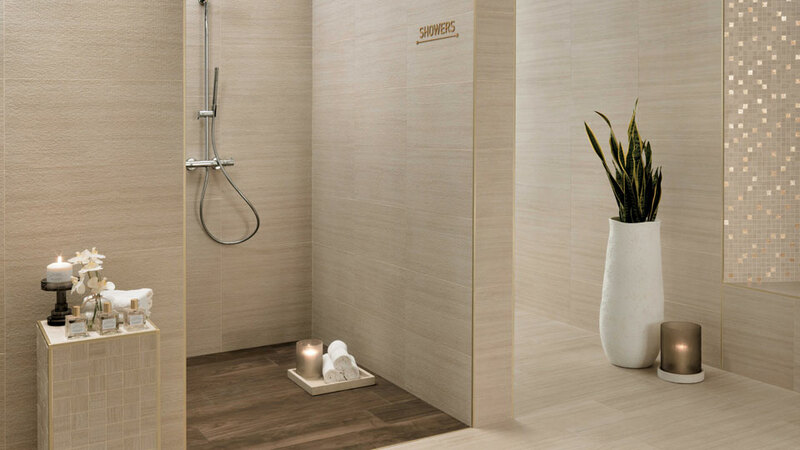 Schlüter-SHOWERPROFILE-WS/-WSK is a two-piece profile of anodised aluminium that provides splash protection in floor-level showers. 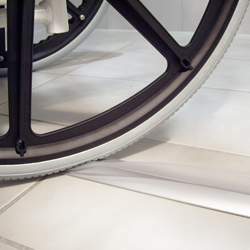 The flexible sealing lip is suitable for wheelchair use. We will be pleased to send you information material about this or other topics. Please use our contact form.